The Wall doesn’t end as much as it diminishes. 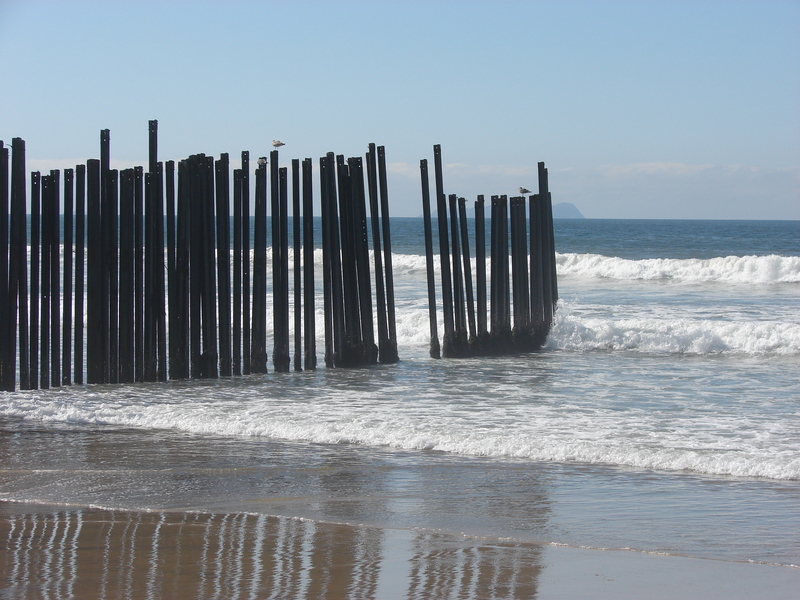 Here, on the white sand between San Diego and Tijuana, the recycled Gulf War landing mats that form the border fence give way to a row of posts that lean like drunks in the surf. America and Mexico begin and end here, but the ocean doesn’t care about the lines men draw in the sand. It dumps kelp on the beach and crusts the fence with rust. The place is called Friendship Park, and the name is a punchline now. I first visited the park with Reverend John Fanestil who used to serve communion through the posts to Mexicans on the other side. The border guards ordered him to stop and led him away in handcuffs when he didn’t. Passing wafers across the border was a customs infraction. The walls, here and elsewhere, breed such absurdities. Families used to come and touch their loved ones on the other side. Mothers held the hands of their deported sons. Husbands reached through to touch their wives’ faces. John told me about one man, an ex-con unable to cross into Mexico, who met his girlfriend every Sunday at the fence and tried to convince her to marry him. She stood on the other side, holding their infant son, surmising through the fenceposts whether she could love this man forever. The touching has ended. A new fence, tall and steel, is too far from Mexico for fingers to reach. 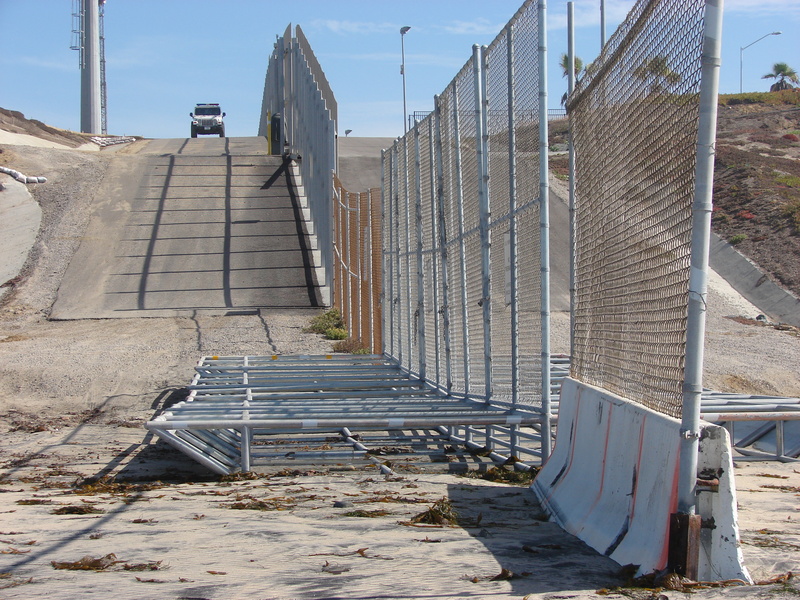 On the weekends, humourless border guards open a gate and allow visitors on the American side to pass through the new barrier and into a fenced enclosure locals call ‘the cage.’ Visitors can get near enough to the other side to speak with family on the other side but they are too far to touch anymore. This is the poetic tragedy of this place. Once you could touch. Now you cannot. I wonder if this is worse than never having touched at all. On my second visit to the fence I saw a family visiting the Mexican side. They all lived in San Diego, but traveled across the border to visit their father, Peter, who had been deported to Tijuana. 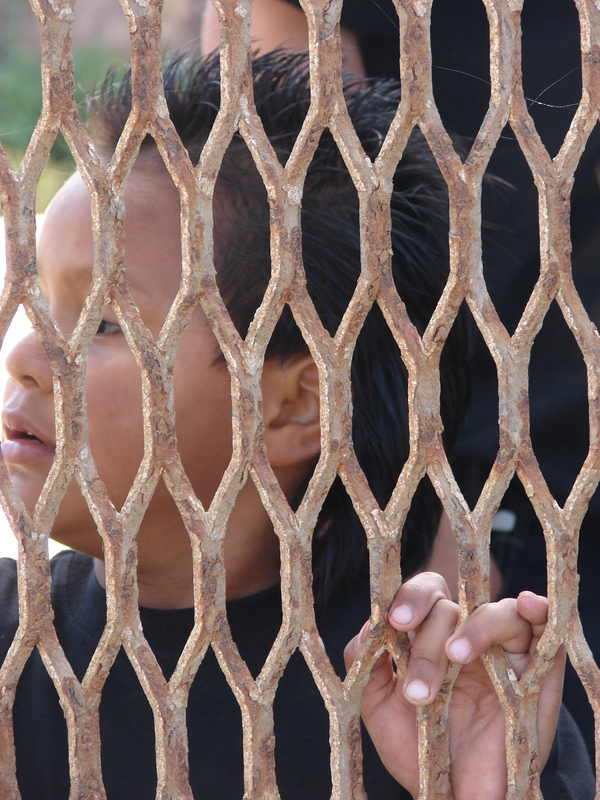 From through the fence, Peter told me that he found the barrier dehumanizing and degrading. 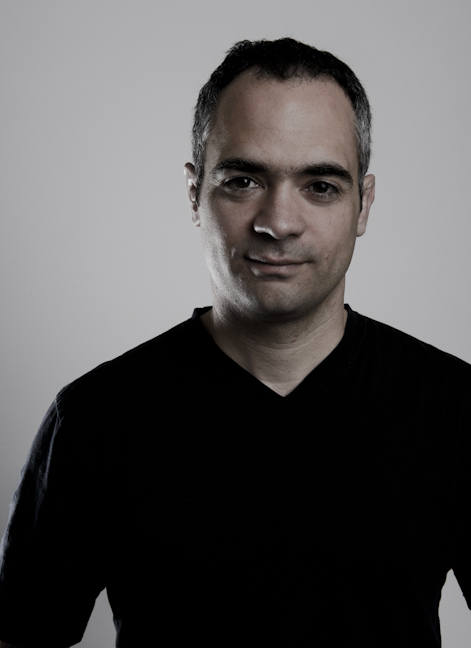 He accepted his deportation, but feels that “this is not the way it should be. This place should be built for families. It should be comfortable.” Besides, the fence interfered with his fatherly duties. He smiled and pointed at his teenage daughter. “If she causes trouble, how am I supposed to pull her ear?” he joked. “What am I supposed to do? Throw a rock at her from over the fence?” His family laughed.